1.Single slope, Double slope, Multi-slope. 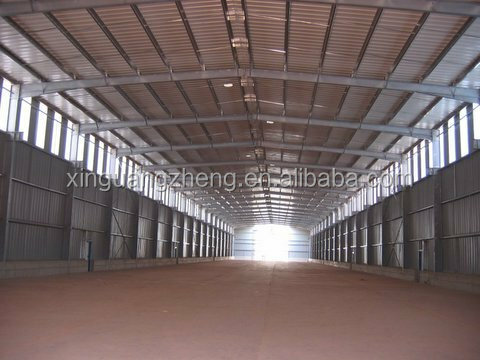 2.Single span, Double-span, Multi-span, Single floor, Double floors. 3.Straight cross-section or Variable cross-section. 1.EPS ,PU ,Rockwool sandwich panel. 2.Single colorful corrugated steel sheet0.326~0.8mm thick, YX28-205-820(820mm wide). 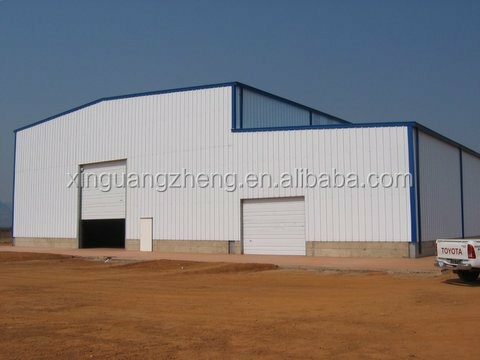 3.Sandwich panel with EPS, ROCK WOOL, PU etc insulation thickness around 50mm~150mm, 950mm or 960mm width. X or V as well as other type bracing made from angle, round pipe etc. Semi-transparent skylight belts, Ventilators, down pipe, outer gutter etc. Sliding or Rolling up door. 1.Resisting winds and seismic impacts. 1.Making the design and quotation according to your requirements very soon. 2.Making the quotation according to your drawings. 3.Giving you the satisfying opinion to your project. 2. 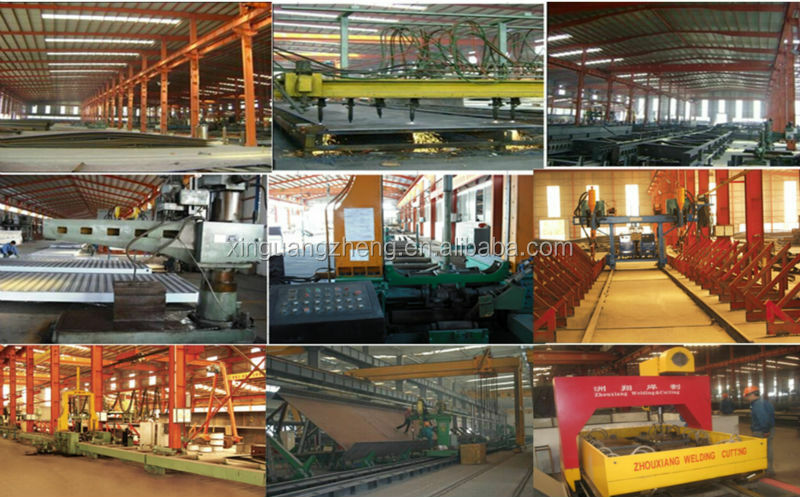 Brief introduction of Qingdao Xinguangzheng Steel Structure Co., Ltd. 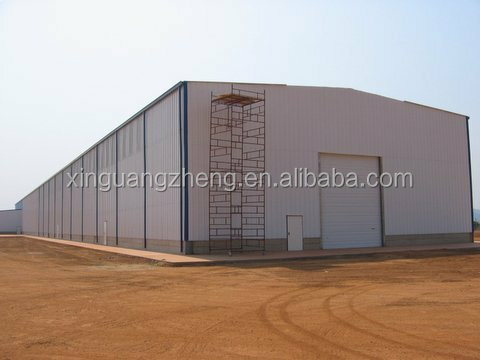 Located in China and founded in 1996, Qingdao Xinguangzheng Steel Structure Co., Ltd. specializes in designing and manufacturing steel structure buildings, steel structure workshop, steel structure warehouse, prefabricated house, container house and light steel villa. Simultaneously we also may according to the client different need to change and make the order. 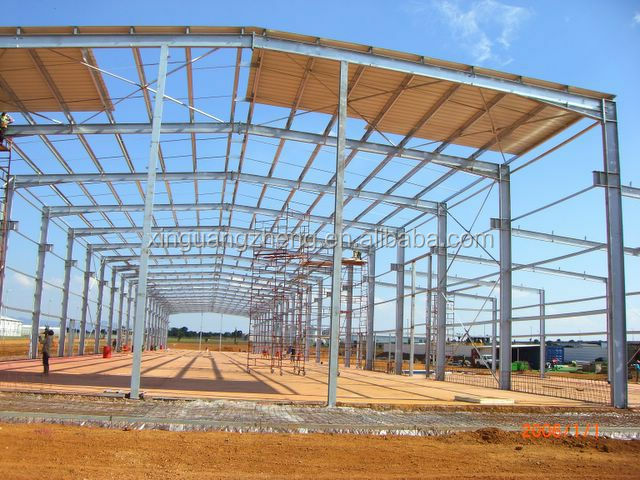 Our steel structure buildings, steel structure workshops, steel structure sheds, prefabricated houses and container houses are not only sold all over the country, but also exported to Japan, South Korea, the United States, European, UAE, Australia, Africa and other countries and regions. There are 12 professional Quality Supervisory Controller in the team,80% of whom are engineers and technicians. The team are technically well qualified and has abundant testing experience. 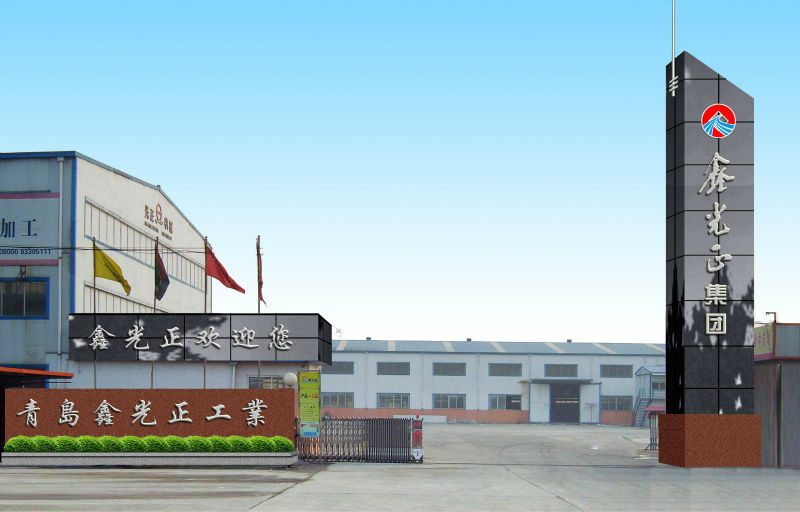 develop and make new parts according to customers' requirements and detailed information. customize buildings for specific applications. provide service of designing, engineering, manufacturing and installation. 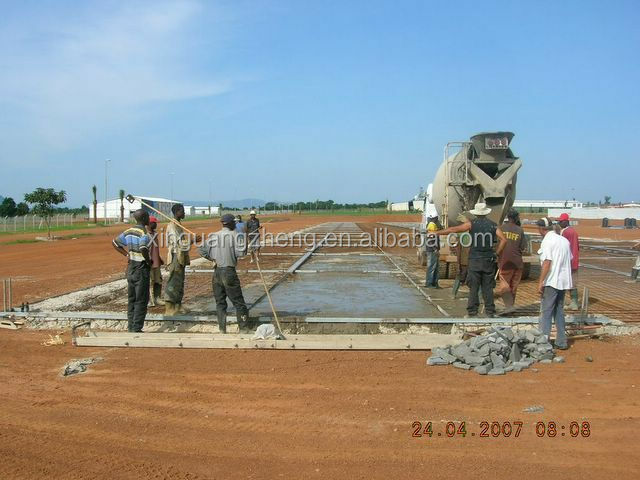 our expert technicians can help you to assemble the project at site. Believe your choice, we are doing better than ever. Your visiting is highly appreciated!